I have a confession to make. I wasn't always a believer in virtual reality. I thought it was the latest tech fad, with everyone trying so hard to make it happen. Gamers are in the middle of the Virtual Reality rebirth with Playstation VR (formerly Project Morpheus), Oculus Rift, Google Cardboard and others. You can't talk about the future of the gaming industry without discussing Virtual Reality. Want to ride a virtual rollercoaster? What about a survival horror experience? You got it. Yet, none of it was speaking to me in a way that caused me to say "THIS is the future..." Until I tried the HTC Vive with Steam VR. It was eye-opening to say the least. For the first time in my life, I actually felt like I was completely immersed and present in a virtual world. To try and describe my experience with the Vive would not do it justice. It truly must be experienced to comprehend how realistic it really is. 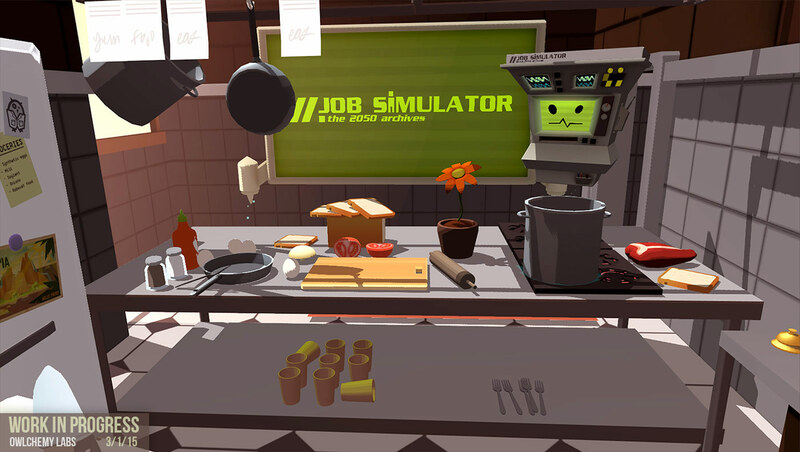 In the demo that I tried, I watched as a full-scale whale swam by me on a sunken ship, I painted in 3D space and could walk through my creation, I cooked a meal in a kitchen, and tried to repair Atlas -- a robot from the beloved Portal series. It was incredible. TL;DR I'm a believer. The possibilities are endless. With flexible VR tech like Google Cardboard and other smartphone enabled opportunities, retailers can create simple, lightweight experiences designed to be used remotely or to enhance the in-store experience. With the more sophisticated tech like the HTC Vive that requires a substantial footprint, there's an opportunity to create in-store engagements that transport consumers into virtual worlds with products to experience them firsthand. Design: Stores like Bed Bath and Beyond or Home Depot could create an interior design experiences where consumers virtually build their dream house using products available in the store. Once the design is complete, they're provided with a shopping list of the appropriate materials. Outdoor: Outdoor stores like REI could create experiences that allow consumers to try out the gear in the context of amazing locales like Yosemite, the Grand Canyon and even Everest. Fashion: Stores like Forever 21 and H&M could allow customers to model various clothing items on avatars modeled after their body types. This could extend to unique designs and colorations to be custom made for the customer. As I've touched on in a previous post: personalization (or perceived personalization). Virtual reality offers the ability to completely personalize the experience for each customer. It affords flexibility and immersion in the shopping experience like never before. In many cases, it's going to be the closest consumers can get to trying out products without actually trying out the product. The possibilities are endless.